The PSP games, specifically in the Dynamite 7 campaign's final mission refer to the missiles launched against the galactic whales as "nuclear missiles", while they are referred to as "reaction" missiles. Are the terms interchangeable? The PSP games aren't canon... so there's part of your problem right there. It's not the first time a Macross game accidentally identified reaction weapons as "nuclear" weapons, it happened in Macross VF-X2 as well. There's a definition of reaction weapons available on the Macross Compendium, and Macross Chronicle describes them as being pure fusion bombs that use charged particles to initiate the fusion reaction, thus eliminating the residual radioactive material left behind by conventional nuclear weapons... though some forms of reaction weaponry in later years (2040s+) also used antimatter warheads. Initially yes. The idea of calling any weapon nuclear or atomic was taboo in anime. Memories of Hiroshima and all that. Although it appears that Kawamori may be starting (though the translators can confirm this) to change their meaning from nuclear missiles to anti-matter weaponry. Which if true, would explain how only a few missiles could completely decimate a Zentradi cruiser several kms in length. Perhaps taboo, but certainly not unknown. Gundam (of which Kawamori was a massive fan of, enough to work on a fan magazine for it, Gunsight) has had nuclear weapons as a main cornerstone since the very beginning. The One Year War featured a massive nuclear war, eventually resulting in the Antarctica Treaty outlawing them for the rest of the war. I was in the understanding that reaction weaponry was always pair-annihilation... Matter-antimatter bombs. It appears that the printed material is conflicting with itself on several occasions. I guess it means nuclear weapons being chucked around by the good guys (which happens a lot in Macross), not as part of the backstory or by villains. Anyway the PSP games first called the Vajra "Bajura" and now "Vajura", and the whale poachers "Pirates" so I'm not sure it's that accurate a source. Nope... reaction weapons started out with the full name of thermonuclear reaction weapon and antimatter ones were developed later on, as per the Compendium and later Macross sources. It's a broadening of the term as technology advanced and new forms of reaction weapon were developed. More on the "have become" side... but yes. It originally just meant the thermonuclear kind, but the "modern" usage of the term in Macross also covers pair-annihilation weaponry. Hence we use, "Reaction". It doesn't say what reacts, only that something reacts and goes boom. So it's just a broad term to refer to a particle interaction, hence the "reaction" term used. I'm not taking the games as if they were canon. It's just that I was replaying that particular mission and Cathy Glass (I prefer her as an operator) referred to them as "reaction" bombs, but the tag reads "Nuclear Missile". I was under the understanding that in Japan the term was frowned upon when used by main characters and then my memory went to the second Frontier movie trailer where Ozma shoots reaction weaponry. My question soon followed. And hey, thanks for answering, guys! Here's another question: During Macross Frontier, the UN Spacy is referred to Shin Tougou Gun. NEW UN Spacy. When did the change of name take place and why? If my memory doesn't fail me after all these years, Isamu and Gamlin were under this organization as well. And yet another one. The PS2 Macross game was made by AM2... Wasn't AM2 the team behind the Shenmue and Virtua Fighter games? Tricky question... y'see, it was originally assumed that the change from "UN" to "New UN" was the result of the 2051 coup attempt depicted in Macross VF-X2. Kawamori then kind of torpedoed that idea in an interview when he said that the change from the UN Government to the New UN Government was more of a gradual affair that resulted from the UN Gov't's inability to effectively govern the increasingly spread-out masses of humanity, and the growing discontent with the centralized government... making the coup attempt more a symptom than the cause. So, at some point in the early 2050s, a combination of factors including the attempted coup and having the government reorganize itself somewhat resulted in the military reorganizing and changing its name too. Mind you, there's a little confusion as to when the names changed, for two reasons. 1.) Macross Frontier sources slip a few times and refer to the "New UN Spacy" or "New UN Government" in the early 2040s, even though neither term was used in the shows from that period. 2.) The original Super Dimension Fortress Macross series referred to the re-established UN Gov't as being the new UN Gov't (with a little 'n'), though the "new" got dropped fairly swiftly and the UN Spacy never picked the "new" up in its name either, so they just kept calling themselves the UN Spacy and UN Government. The official bio information for Isamu, Gamlin, et. al. as belonging to the "UN Spacy", not the "New UN Spacy". Didn't realize what game you meant at first... but yes, the Playstation 2 version of the Macross: Do You Remember Love? video game was developed by Sega AM2 (Sega Amusement Machine Research and Development Department 2), the same developer that did Virtua Fighter and Shenmue. The New Unified Government is a reorganization of Earth's Unified Government originating with the coexistence with the Zentraadi, after Space War I. The government promotes things like the postwar regeneration of the Earth and the Mankind Sowing Plan. Even though the name of the Unified Forces also changed to the New Unified Forces along with the establishment of the new government, they are often called the Unified Government and Unified Forces just like before the war. The formal name is the New Unified Space Government. (change Unified to UN at your pleasure. UN would be how it's generally rendered on screen, Unified is an accurate translation of the terms used in Japanese). Is it safe to assume that at the end of Macross 7 Max and Milia have worked through their differences and are now back together. As a general rule, Macross canon is pretty fluid right? 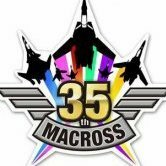 Do You Remember Love and Macross are both seperate stories, but parts of each series are 'truth' correct? Same with Macross Plus the OVAs vs the Movie, and Frontier vs False Diva / Wings of Goodbye? In other words the broadstrokes are true, but the smaller details are left up to the individual's imagination? Is that what the creators have said? Or something else entirely? Curious what her name would be in Meltrandi??? Anyone off hand, or know of a resource for this language, to english, hehe....???? Thanx all, for your time!!! Since meltrandi ARE part of the Zentraedi race they should speak Zentraedi right? We've been discussing this in detail in another thread started by Sketchley. I am too lazy to link it to you, but you'll find it on the list of topics in this forum. I can't remember the exact wording, but Kawamori-san said something along the lines of "if I tell the story of Macross as a TV series, it's SDFM. If I tell it as a movie, it's DYRL". In general, it appears that the TV series takes precedent over the movies in regards to the story events. See my signature - linky entitled "I believe in the Macross Extended Universe!" Macross Chronicle's timeline sheets do consistently favor the series/OVA version of events over those of a movie version for continuity purposes. Interesting, what about the visual aspect though? I've heard most of the DYRL designs replaced those of SDF. Eh... there are in-universe explanations for some of the most obvious changes, like the DYRL VF-1 being a newer production block of the VF-1 (the TV series version being Block 5, the movie version being Block 6+), and having Exsedol return to his former size and realter his body makeup because he was afraid of losing his memories. In Macross Frontier we also see material from the TV series and DYRL being used side-by-side... the Zentradi in the 33rd Marines use a mixture of TV series and DYRL uniforms. By the opposite token, we see Milia using the same type of pilot suit from the original series in Macross 7, and in that same series seeing an actor playing the DYRL version of Britai standing next to a TV series version of Quamzin, and IIRC there's a TV series ARMD that shows up in Macross VF-X as well. On the whole, they just seem to like the DYRL designs better... and so use them instead of the TV series ones when they come up. and IIRC there's a TV series ARMD that shows up in Macross Plus - Game Edition as well. what destroyed megaroad-01 (together with minmay, misa & hikaru)? - communication was lost near the center of the milky way galaxy. - macross 7 encountered protodevilns around that part of the galaxy as well. - macross frontier encountered vajras around that part of the galaxy too. imho, it should be by vajras cos protodevilns should still be sealed off in varauta planet. From the "last message found on a Protoculture disc thing" about going to check out a black hole (can anyone confirm this actually happened and is not a fan rumor? ), my completely baseless speculation is the implication at the time was they somehow went back in time to found either the Protoculture or the Marduk. The Marduk having (ancient?) legends of the barely 90 year old and unique looking SDF-1 as the "Ark of Alus" (corruption of Earth?) might also imply this. Or maybe they discovered the existence of fold faults the hard way (the SDFM fold concept doesn't seem to take these into account), and are stuck out there permanently in folded space. Nothing destroyed them Hikaru and Misa have a ton of kids populating a new planet on a far away galaxy. They must have crash landed and lost their comunication system with the UN Spacey Fleet. But they lived Hapily ever after. Nothing has been said as much. They disappeared near the center of the galaxy. The circumstances of their disappearance are unknown. All that's been revealed is that the owner of S.M.S still hopes to be able to find Minmei. After the end of the 1st Interstellar War, people were cloned. The nuances of the translations I have done imply that pretty much the entire crew of the SDF-1 was cloned, and there are numerous copies of the heroes. Until cloning stopped, it's implied that all the emigrant ships (both super long range and close range) were populated by clones of the original SDF-1 crew. The original Hikaru and Misa may not have had many children (let's say Max and Miria's 7 is a normal number), but multiply that by 30 or 60 copies, and you easily get hundreds of Hikaru and Misa kids. I kid you not. This is one of the less highlighted aspects of Macross, but if one follows the logic, it's inescapable. I have Lynn Minmay's Final Message, which came with a limited amount of copies of Macross: Do You Remember Love for the PS1. I'm strictly a beginner when it comes to Japanese, but from I could read, her e-mail mentions a journey involving a "Dark Hole." I presume a "Dark Hole" is synonymous in Japanese with Black Holes. One thing to keep in mind is whether this message is actually canon. It's not credited to any real-world author, so who knows if it was written by an actual member of the Macross staff or some random Sony marketing person. I prefer the official Kawamori-answer: "God knows." That's my story and I'm sticking to it. Ah, my mistake... thank you for the timely correction. Eh... that's from the video game adaptation of Macross: Do You Remember Love? for the Sega Saturn and Sony Playstation. It was the mail-in gift for the game that originated the whole "black hole" thing, though it's pretty much guaranteed not to be canon to either official Macross continuity. Macross's main continuity regards DYRL? as being an in-universe historical drama/propaganda film that debuted in 2031, and Macross II's parallel world continuity doesn't recognize that game as a part of its continuity. my completely baseless speculation is the implication at the time was they somehow went back in time to found either the Protoculture or the Marduk. The Marduk having (ancient?) legends of the barely 90 year old and unique looking SDF-1 as the "Ark of Alus" (corruption of Earth?) might also imply this. Uh, there's a problem with that theory. Specifically, the problem is that the game doesn't belong to Macross II's parallel world continuity, and that the Mardook (correct spelling) don't exist in Macross's main continuity. Also a problem is that Ishtar believing the Macross was the Alus had nothing to do with its appearance (and mind you, it looks NOTHING like the Alus that appears in her "visions" or the Megaroad-01) but rather what Hibiki and his friend Mash told her about the ship's history after she saw the ship's early warning systems triggering its main gun to fire. Another slight problem is that the Macross wasn't unique in Macross II's timeline either, except in the obvious historical capacity. The UN Spacy built several Macross-class ships for its colonization program, as outlined in the continuity materials from Macross II's creators, and were launching them as late as the 2050s. ... and to be honest, it doesn't have a whole hell of a lot to do with the official Robotech continuity either. The business of having Robotech's "SDF-3" go back in time was a plot device concocted for the finale of the non-canon Robotech novel series by James Luceno and Brian Daley. It was never part of the canon Robotech continuity. Which is a shame, since the Macross saga Robotech novels were actually quite well written. Ah, here's a good one, being a cast off from Robotech. Did the U.N. Spacy ever complete the rest of the Grand Cannon system? I mean Jesus, in the one episode we see it in it is by far the most powerful weapon ever seen deployed in Macross, ever. Not even Boldoza's fortress did more damage in DYRL. I find it hard to believe such an awe-inspiring weapon would never be replicated. Uh... your wording's a little vague, but what you're asking is "Did the UN Spacy ever build more than one Grand Cannon? ", right? In the original Macross, the UN Spacy broke ground on no less than five Grand Cannon systems between 2001 and 2007... though they only managed to finish one of them in time. Construction started on Grand Cannon I only two months after the theory behind the weapon was finished in 2002, and was followed in short order by Australia's Grand Cannon II and Africa's Grand Cannon III in 2004, the moon's Grand Cannon IV in 2006, and South America's Grand Cannon V in 2007. Grand Cannon I was finished in January 2010, only a month before the destruction of Earth's surface, while Grand Cannon II was destroyed by Anti-UN forces in 2005, and Grand Cannons III thru V were left incomplete when the Zentradi attacked.